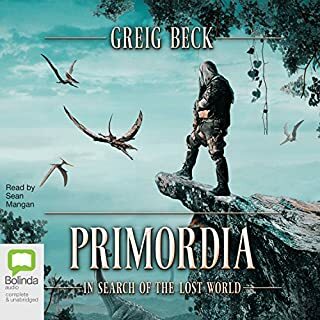 An adventure not only through time and humanity, The Schumann Frequency races through various corners of the globe from the Mayan ruins in Mexico, to the Giza Pyramids in Egypt and finally Stonehenge for the book's thrilling climax. 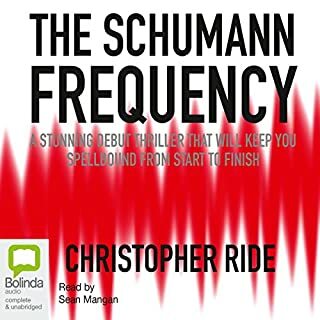 Christopher Ride takes you on a gripping journey that will keep you riveted until the very last page. In 1939, a secret airship departed Nazi Germany in the dark of night filled with some of the most influential people of its time. Its cargo: a complement of rich Jewish families carrying their most valuable possessions. One such item among them was as dangerous as it was priceless. In 2015, Sam Reilly, a marine biologist and wealthy son of shipping mogul James Reilly, discovers a missing clue about the lost airship, and what follows is a violent treasure hunt kept secret by the most powerful men in the world today, driven by their greed and need for that which all are motivated: the opportunity for unlimited power. Do you like complex machinery and action? Typically I wouldn't pick up this kind of book but was recommended by a friend. I finished it in 2 days. It's similar to the older James Bond films in tone. Definitely give it a read/listen! What a great book. Well thought out and very well written. The characters were interesting and the story line kept my interest. This book kept you me on the edge of my seat waiting to see what was next. It pulls you in from the beginning and keeps you wanting more. I recommend this book to all. I can’t wait to read about Sam Reilly next treasure hunt. This is a good book with well constructed characters and a very interesting story. The Narrator is a Pro and helps to keep the listeners interest. 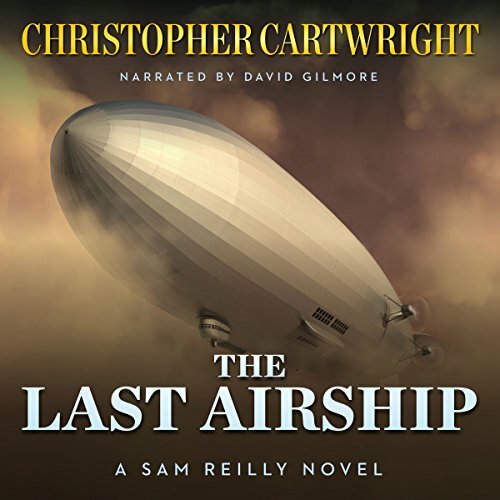 Would you consider the audio edition of The Last Airship to be better than the print version? What other book might you compare The Last Airship to and why? This book has the generic action hero of a rich white man saving the day, so it's not all that different from say, Tom Clancy or Clive Cussler. You've got your hero, your girl, your best friend, against a Middle-Eastern warlord controlling German forces that are arrayed against the American hero, Sam Reilly. What aspect of David Gilmore’s performance would you have changed? Gilmore did not have strong voicing, most of the characters sounded the same. Only the character with a thick German accent stood out as a unique voice. The review's title has a phrase you will hear very often, almost always with the same inflections despite being supposedly said by different characters. Not particularly, because this book seemed to force cliffhangers at the end of chapters, by throwing a twist into a situation that just moments ago had survived another twist. 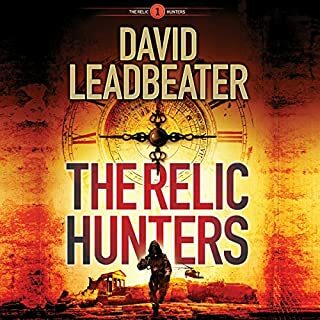 I listened to this in 3 sittings the first time through, which felt more natural than when I marathoned this book in one sitting on the second 'listen-through'. 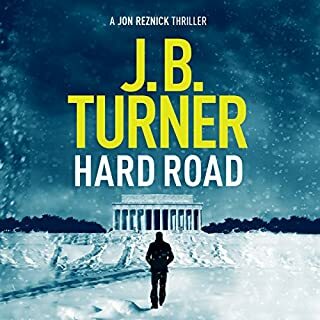 "I was given this free review copy audiobook through Audiobook Boom, at my request and have voluntarily left this review." Well thought out story that tries to do too much. Is it a WWII historical fiction? A spy thriller? A maritime adventure? A rock climbing cliff hanger? IMO it was doing too much throughout so that the listener gets lost. Good performance by David Gilmore although I wish there was more variety in the female voices. I was provided this book free in exchange for an honest review. Christopher Cartwright creates a modern day Indiana Jones called Sam Reilly. Reilly is the son of a wealthy man. A marine biologist by trade, he is wealthy in his own right. A clue leads Sam to search for a lost Zeppelin that fled Germany in 1939 and disappeared. The passengers were Jewish German citizens fleeing for their lives from the Nazis. On board were a wealthy couple with all their gold and jewels, and a man with a secret. He had created a deadly virus that could kill about 80% of the population. Hitler wanted this virus very badly, but the scientist could not let him have it. Sam's search collides with a group searching for the virus. Along the way, he meets a beautiful woman named Aliana. Little does he know that their meeting was not by chance. She was sent by her father to stop Sam at all costs, but finds herself falling for Sam, and Sam for her. Together they find the ship and discover it's secret. Now they are in a rush to stop the rivals from getting their hands on the deadly virus. Cartwright's writing is good and the characters are well developed. I can't say much good about the narrator, David Gilmore. Gilmore has the delivery of an old time radio announcer or narrator of those government "educational films" seen in schools in the 50s and 60s. He has a limited range of voices, so many characters sound the same, or even start with one voice, only to have a different voice later, because he is using the original voice for someone else. He also has a tendency to make the lines sound like Father Knows Best, with a "Fine, everything's just fine" delivery even in dire situations. Ignore Gilmore and pay attention to the writing and you can enjoy this series. I found this to be well written and really interesting.A thriler in many ways.I can't wait to see when the second one comes or came out! David Gilmore was the perfect narrator.I was given this book by the narrator,author or publisher free for an honest review. Fast paced, crime/conspiracy thriller, I quickly found myself caught up in the story and couldn't press stop. This book has a James Bond sort of feel to it, lots of guns, some explosions, high stakes, a beautiful girl, and a rich suave guy. There's lots of intrigue and a few good plot twists, the writing is really well done, the good guys are likable, the bad guys are complicated, there are complicated motivations and this makes the story believable. I'll be adding the other books in this series to my 'to-be-read' pile/list, I want to know what Sam and his friends get up to next. The narration is excellent, great character voices and the delivery helped enhance the tension in the book. The beginning was Amazing! Loved the incorporation of history into it and made it more exiting to think about what if this really happened... Then came introducing the main character. That is where i got a little bored. Ok, things were a bit exciting with a storm and all that but in a lot of ways it was almost too much detail maybe, not really sure, that lost my attention for a little bit. I had trouble following the changes between different characters and where the story was headed because people i thought were actually together were not. Once it got past the storm though it was easier to follow for me and it turned into a really great book. I think that this would make a really awesome movie or tv show just because the details given in the story were hard to follow sometimes because i couldn't picture what was being talked about, where a tv or movie they would just show it to you and i would be like "oh, that!!" Overall worthy read/listen. Wow! What a book. I loved all of the twists and turns this book had and how it mixed historical elements. Reminiscent of an action movie. I loved the details in this story, the imagery is incredible and I could envision so much. Sam Reilly is truly an incredible character who has the ability to be in the right place at the right time. He is extraordinary in his devotion to serve his country. The spy element that was woven into the book was outstanding. There is so much more to this book than what I can describe. This book is part of a series and a standalone listen. David Gilmore did an awesome performance with his various voices for the numerous characters. Christopher Cartwright wrote a gripping book with some endearing characters. 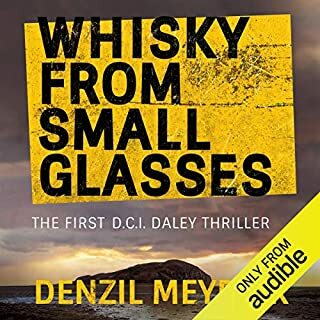 I loved the character of Sam Reilly and will definitely listen to more books by this author. The ending of this particular book was outstanding. What did you love best about The Last Airship? I liked the fullness of the characters best. There was good character development so that I felt like I could possibly even know these guys. The plot kept me wondering. Just as soon as I thought I knew what was going to happen it would twist and go a different direction. I love a book that is not predictable, but one that still manages to keep the reader in suspense. This book did that. What does David Gilmore bring to the story that you wouldn’t experience if you just read the book? He switched between the different voices seamlessly, bring an added layer of character development. His voices were well done, not hokey. They eluded the Nazi war machine only to find death in the mountains. The people are gone and forgotten, but the treasure they carried away with them is searched for by peoples unknown. Now, in current times, the furry over the lost treasure is once again pitting nation against nation, father against son, and lives are on the line. It's not just about who finds it first, it's what happens next that will take your breath away. A fantastic action adventure story. I thought there was good pacing, character building and an interesting story line. The narration was decent. The narrator was a little limited in his voices but not so much as to keep me from enjoying the book. I have to say that this author is going into my favourites pile immediately. His characters are full on action men and women. They have fun, do amazing escapes from danger, come back from situations which should be lethal and still have time to save the world. 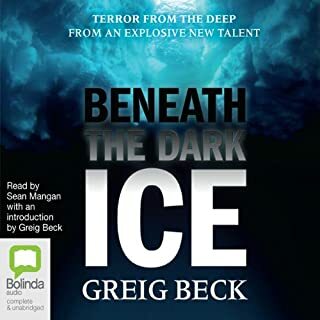 If you love action adventure movies and books along the lines of Clive Cussler, Matthew Reilly et al, then you will love Christopher Cartwright. He knows how to write a great plot and bring in characters that you actually like and want to see succeed. The story itself has some historical references and some interesting side information about mountain climbing for the true adventurer, using genuine places to bring some life to the story. I love the characters of Sam Reilly and his best friend Tom, they are like every adventurous man you would ever want to meet, conventional and unconventional at the same time. I'm looking forward to my next instalment. Your new action hero! Read this series! A brilliant story. It actually made me really want to have a go on an airship which is strange as guess what (not a surprising spoiler) the airship doesn't last long. Sam Reilly is a great character. A mixture of your typical square jawed hard guy hero mixed with someone looking for something and also someone who wants the best for others and the environment as that's sort of his day job. I also strangely liked Sam's father. A total megalomaniac and he's pitched that way but in his own detached strange way he's pretty cool. We have an interesting love interest/match for Sam with a decent and also strong female lead. I liked the search that we go on. It's a roller-coaster and its a good one! Action/thriller books are often (in my opinion) hard to narrate as you have to do decent characters and story and then step up for the action. That's done really well here! I loved it from start to finish, and I most definitely want to see what adventures Sam is going to take us on.